Are you not getting the results you need when advertising your construction business? Perhaps you’ve been spending your advertising budget on things like The Yellow Pages, radio ads, trade shows, magazines – or if you’re really brave, even SEO and Google Adwords – without seeing much of a difference. Or, if you’re like some of the businesses that come to me, maybe you’re mainly relying on referrals to get by. You probably realise this isn’t the best way to scale your business, but you’re hesitant about where to start when placing ads. This is a challenge many are facing these days when it comes to construction marketing – and one you can’t afford to ignore. As an experienced construction marketer, I know it can be tough trying to decide where to advertise your business. That’s why I wanted to help, by listing some of the best places to do so below. Where should you be advertising your construction business? As a rule of thumb, you should be advertising where your best clients are hanging out – whether that be Facebook, LinkedIn or Google. Buying behaviour has changed in recent years, so instead of interrupting them with something like a radio ad, attract them with something that’s going to draw them in and offer them value. Some of the things you could do include coming up with enticing ads on social media, or trying inbound marketing (in other words, coming up with quality content that answers their questions). The latter is very cost-effective, but it can take a while to work, and is tough to do when you’re trying to run a business. I’ve gone into more detail on some of your best options for where to advertise building services, below. Your website’s blog is one of your biggest marketing assets. It’s an extremely important tool for generating leads and establishing authority with your audience, because it’s how your best customers will find you when they type their questions into Google. Well, at least that’s how it should work. Try and aim to publish two blog posts a week that your ideal customers will find helpful, and valuable – without sounding salesy. It can be a great, cost-effective way to generate more leads and sales. However, you should also bear in mind that it can be tricky to do yourself, and it can take quite a before for you start seeing results. What kind of home extension will be most suitable for me? What are the best renovation services in Edinburgh? How long will my conservatory project take? Will I have to take time off work when my project is underway? What is the process involved in home remodelling? Which materials are used when installing a home spa? How do I find the best home renovation company for me? How much will professional home extension cost? If your best customers are asking these, chances are they’re typing them into Google. TIP: Don’t already have a blog on your website? It’s quite simple to add one. WordPress is the most common one to use, and it has a super easy platform. Also, bear in mind it’s not as simple as just writing and publishing blogs every week. It’s actually part of a much wider process or strategy. TIP: Read all about the 9-step process you can use to generate more leads and sales for your construction company. Depending on your market, Facebook or LinkedIn could be a good call when it comes to ads, as everyone’s hanging out on either one or the other and both have good targeting options to help you focus on very particular groups of people. For instance, on Facebook you can get very specific with your targeting and focus on people based on their likes, interests, behaviour, or even their job role in a company. So, which one should you be using? Well, if you sell direct to customers, Facebook is usually the first port of call. However, if you’re focusing on other businesses, I’d lean more towards LinkedIn. These platforms may be great for creating very targeted ads, however, it is still a bit of a learning curve. You need to add a specific budget, and if you go over that, it will stop (so no worries there). However, a big mistake a lot of people make is thinking they can get great results on these platforms without paying. For engagement, it can be good. However, I wouldn’t bother using it as a channel to drive traffic and sales unless you’re prepared to pay. Google MyBusiness makes it easier than ever for potential customers to find your construction company online, and is extremely helpful for anyone who wants to know more about your business. This is because when they do a local search for the services you provide, it should come up with your construction business’s listing, including a description of your business, photos, contact details and opening times. Never heard of Google MyBusiness? Chances are, you’ve probably been using it without even realising – simply by doing a search for building supplies or a restaurant and looking at the local results it brings up. So, what does it do? Well, in essence, it combines Google search, maps, and Google+ together with Reviews, Insights and Google Analytics into one easy-to-use interface. It’s also completely free, so if there’s one thing on this list you really ought to do, it’s claim your Google MyBusiness listing today. TIP: For the full down-low on Google MyBusiness, check out my blog post: ‘Construction Marketing: What You Need to Know About Google MyBusiness’. Google Adwords (otherwise known as ‘paid search’) is effective, and the ‘go-to’ source for a lot of advertisers. It basically means you’re paying to display a listing that will show up at the top of Google. Your ad will display to people depending on which keywords you’re targeting, and what they type into search. Often, it’s not even obvious that you’re clicking on an ad, unless you look closely. However, this tool can be expensive in the wrong hands. Although, you don’t have to sit by whilst your budget spirals out of control – you can pause or adjust a campaign any time. Learning how to do Google Adwords the right way can take a bit of getting used to. In fact, I wanted to help with that, which is why I’ve written a guide based on 15 years’ experience of using Adwords myself. It’s called ‘The Ultimate Google Adwords Companion’ and it’s absolutely free to download. TIP: I’ve also put together some tips here so that you can improve your Adwords every week – it takes under 30 minutes! 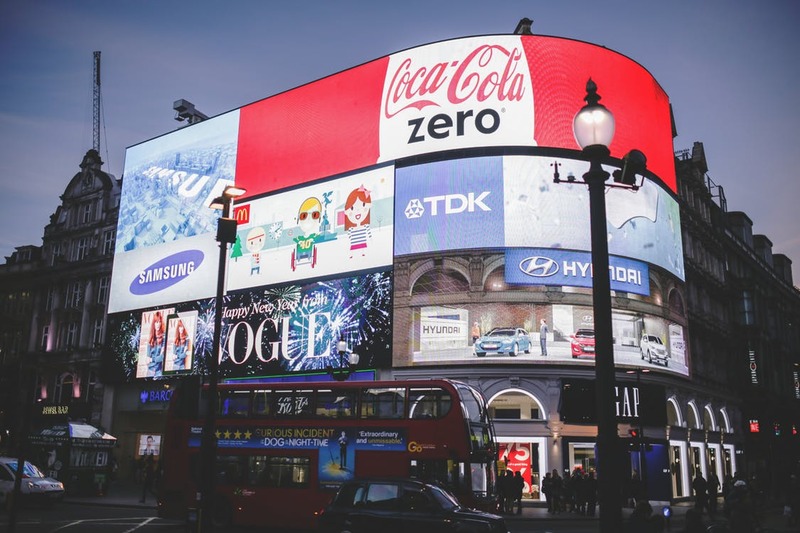 Ad retargeting is a great way of making the most of your ad budget, as it means your ads are only displayed to those who have previously visited your site in the past 30 days. It could help to dramatically increase your conversion rates and ensure you’re getting the most out of your ad budget. You can use ad retargeting on platforms such as Google – which allows you to place an ad on other websites that are opted into their network – or on Facebook. A great benefit of this is that it only comes in at a fraction of the cost. Wondering how it works? Well, have you ever been looking at something you’d been thinking about buying, but just hadn’t gotten around to it yet, and then later on when you’ve been on Facebook or YouTube you’ve noticed an ad for the exact same thing? It serves to remind you of your interest, and you’ll probably end up clicking on it. That’s why retargeted ads tend to work so well. It basically keeps you at the forefront of people’s minds! TIP: Just remember to rotate your ads every week. This helps to keep things fresh, otherwise people may get bored and you won’t get as good results. All said and done, the one thing you have to realise is that your business won’t grow or scale to the place you want to get it without marketing. That’s the reality. If you don’t have time to market yourself, that’s fine. However, you will need some outside help. Saying that, marketing yourself is the cheapest way; but it’s not easy. One of my own clients, Superwarm, started off doing ads on Facebook himself. He was doing really well, with okay results. However, it got to the point where he’d done all he could do, which is why he decided to approach me to really turn things around. I strongly believe I can teach anyone to market their own business. However, most of them simply don’t have the time or inclination to make it work. Save yourself a lot of heartache and time, and ask yourself: do you? If you don’t have the time, but you do have the money, it’s worth getting outside help. And if you do decide to go it alone, don’t try it without a strategy. Facebook and Google ads are a waste of time and money in a lot of cases – that is, when you don’t know what you’re doing. I hope you’ve found this blog helpful when discovering where to advertise building services for the best results. For your next steps, I challenge you to go away and think about which platforms would be the best for you to advertise on. And, if you haven’t already, I’d strongly advise creating a Google MyBusiness page! Want some more advice or guidance on how to best market your building services or construction business? Shortlist a few inbound or digital marketing agencies to speak to, and ask them what they can help you to achieve. They should be able to advise you further.